Natural reeds in a lovely signature bottle. 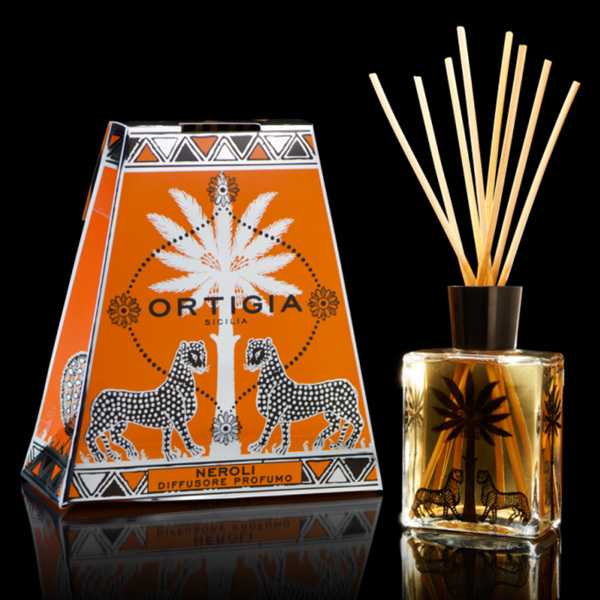 The perfumed liquid travels through the sticks, releasing the subtle and continuous scent of bitter orange tree with sweet and flowery notes. Please note that the price includes 200ml of liquid.